Lipotype GmbH, a Max-Planck spin-off company, and the Nestlé Institute of Health Sciences (NIHS) collaborate to employ the innovative Lipotype Shotgun Lipidomics Technology to analyse lipids in blood for nutritional re-search. Recently, Lipotype and NIHS jointly published results of the robust-ness of the Lipotype Technology. Lipotype envisions a future use of its tech-nology in clinical diagnostics screens for establishing reliable lipid diagnostic biomarkers. During the collaboration, Lipotype and NIHS conducted a joint research project and demonstrated that the Lipotype technology was robust enough to deliver data with high precision and negligible technical variation between different sites. In addition, important features are the high coverage and throughput, which were confirmed when applying the Lipotype technology. Lipotype envisions these as important features, required for future use in clinical diagnostics screens, in order to establish and validate reliable lipid diagnostic biomarkers. The results have been published in October 2015, in the European Journal of Lipid Science and Technology (Surma et al. “An Automated Shotgun Lipidomics Platform for High Throughput, Comprehensive, and Quantitative Analysis of Blood Plasma Intact Lipids.”). 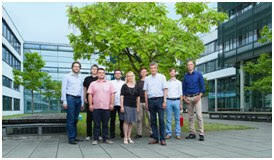 Lipotype is a spin-off company of the Max-Planck-Institute of Molecular Cell Biology and Genetics in Dresden, Germany. Prof. Kai Simons, CEO of Lipotype explains: “We developed a novel Shotgun-Lipidomics technology to analyze lipids in blood and other biological samples. 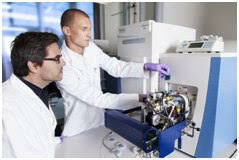 Our analysis is quick and covers hundreds of lipid molecules at the same time. Our technology can be used to identify disease related lipid signatures”. M. A. Surma, R. Herzog, A. Vasilj, C. Klose, N. Christinat, D. Morin-Rivron, K. Simons, M. Masoodi, and J. L. Sampaio: “An Automated Shotgun Lipidomics Platform for High Throughput, Comprehensive, and Quantitative Analysis of Blood Plasma Intact Lipids.” European Journal of Lipid Science and Technology (2015) Volume 117, Issue 10 (doi:10.1002/ejlt.201500145). Lipotype is a spin-off company from the Kai Simons and Andrej Shevchenko labs of the world-renowned Max-Planck-Institute of Molecular Cell Biology and Genetics in Dresden, Germany. Drawing on many years of cutting edge research experience, Lipotype delivers comprehensive, absolutely quantitative lipid analysis services for clinical and biological samples on a high-throughput scale. Lipotype offers high quality lipid analysis services for a wide range of customers and applications including biomarker identification for clinical researchers, pharma and biotech companies, functional food development for the food industry, as well as for the small-scale profiling needs of academic researchers.